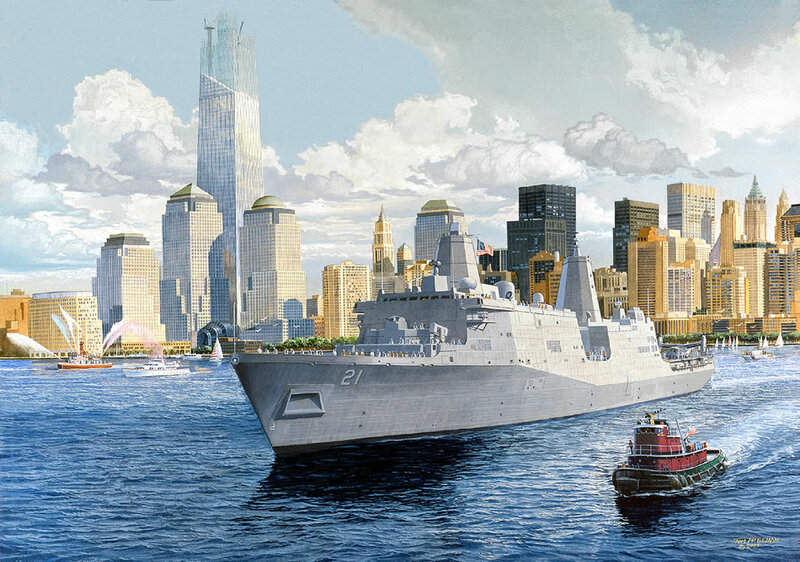 The USS New York (LPD 21) is due to be completed within the next year. It was built with 24 tons of scrap steel from the World Trade Center. The fifth of its kind, the USS New York is designed for missions that include special operations against terrorists. It will carry a crew of 360 sailors and 700 combat-ready Marines to be delivered ashore by helicopters and assault craft. "It would be fitting if the first mission this ship would go on is to make sure that bin Laden is taken out, his terrorist organization is taken out," said Glenn Clement, a paint foreman. "He came in through the back door and knocked our towers down and the New York is coming right through the front door, and w e want them to know that."